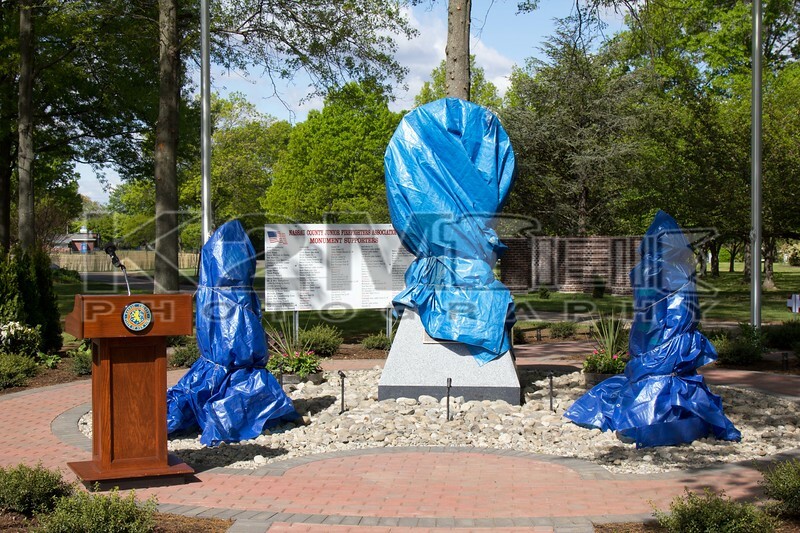 The Nassau County Junior Firefighters Association held a monument unveiling in Eisenhower Memorial Park on the morning of Sunday, May 15th, 2016. The newly constructed monument honors the association for their ten years of service and serves as a reminder of the importance of what it is they do and the crucial role they play in the fire service. The association helps prepare juniors in forty-one of the county’s fire departments. On the morning of the unveiling various keynote speakers spoke before a large crowd that stood not too far from an arch detail using ladders from East Norwich and Plainview.